Posted 5:01 pm by Administrator & filed under News. Cheers to our HPA team and all of the runners that participated in the first annual 5K to 1K neighborhood run on April 12th! 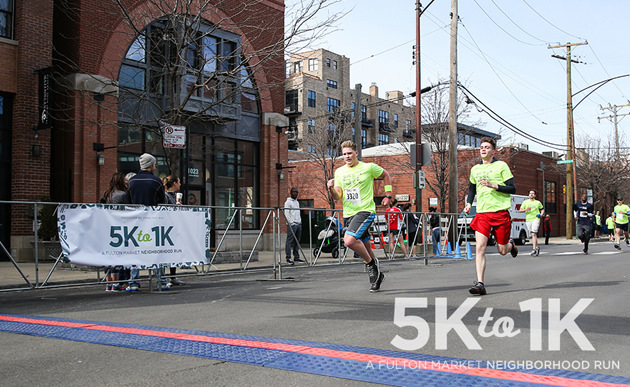 Sponsored by Sterling Bay, the inaugural race wound through Fulton Market with the finish line at 1K Fulton. The event drew more than 350 runners, with hundreds more volunteers, sponsors and spectators cheering them through Fulton Market and at the post-race party. Proceeds benefited The Cara Program, a West Loop non-profit that helps provide workforce opportunities for people who are experiencing homelessness. To view event photos and to learn more about The Cara Program, click here.